THE PENTAGON — The war of words over last weekend’s U.S. Navy freedom of navigation operation in the South China Sea continued on Thursday at press conferences in Beijing and Washington. “We’re going to continue to conduct freedom of navigation operations as allowed by international law and we’re going to continue to do the things that we’re doing,” McKenzie said during the Pentagon’s weekly on-camera media briefing. 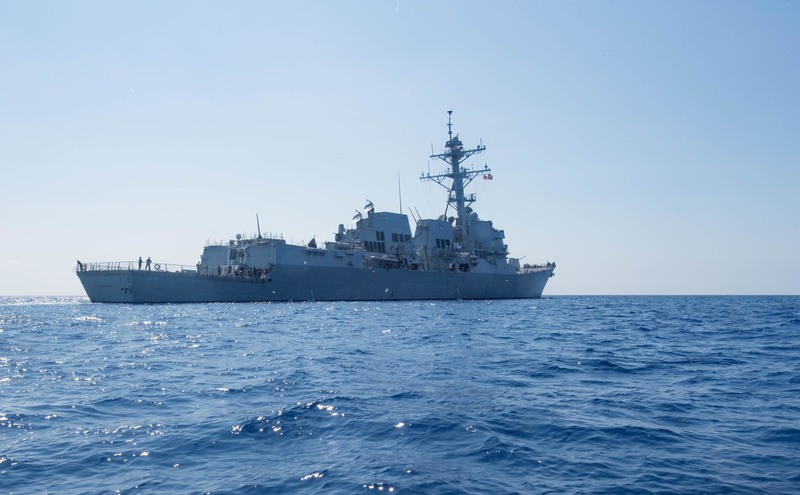 McKenzie was responding to media questions about last weekend’s freedom of navigation operation, where Ticonderoga-class guided-missile cruiser USS Antietam (CG-54) and Arleigh Burke-class destroyer, USS Higgins (DDG-76) conducted a FON op past the Paracel Island chain. When asked by members of the press corps about U.S. military planners concern over a potential long-term threat to navigation posed by the South China Sea island building, McKenzie referenced the U.S. island hopping strategy employed in World War II to repel the advancement of Japan’s military. 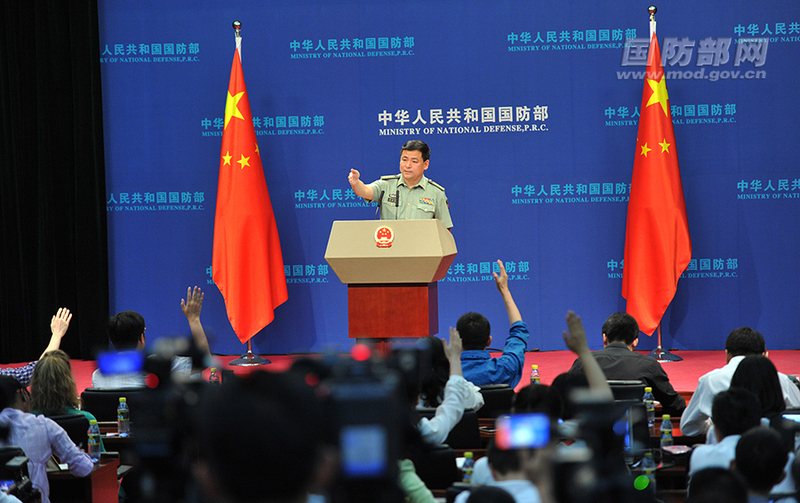 Earlier in the day, on the other side of the globe in Beijing, Senior Colonel Ren Guoqiang, spokesperson for the Ministry of National Defense of the People’s Republic of China, fielded questions from the media about the U.S. Navy’s freedom of navigation operations, according to an English translation transcript released by the Chinese government. Senior Colonel Ren Guoqiang, spokesperson for the Ministry of National Defense of the People’s Republic of China, fielding questions from the media. “We have noted that the US side has recently ignored the facts and hyped up the so-called “militarization of the South China Sea”. We are firmly opposed to it. China has indisputable sovereignty over relevant islands in the South China Sea and their adjacent waters,” Ren said, according to the transcript. “It is the legitimate right of a sovereign state to build and deploy some necessary defense facilities on its own territory. No country has the right to make irresponsible remarks about this. We hope that the US will bear in mind the overall situation, look far ahead, abandon zero-sum thinking, properly handle differences, and work hard to make mil-to-mil relations a stabilizing factor in China-US relations,” Ren said, according to the transcript. China has deployed surface to air missiles and other air defense assets to many of their South China Sea islands, McKenzie said.